The CPM backed trade union CITU has announced to extend its support to agitating Jaiprakash Workers Union for their demands of hike in wages, regularisation of contractual labour and implementation of labour laws. 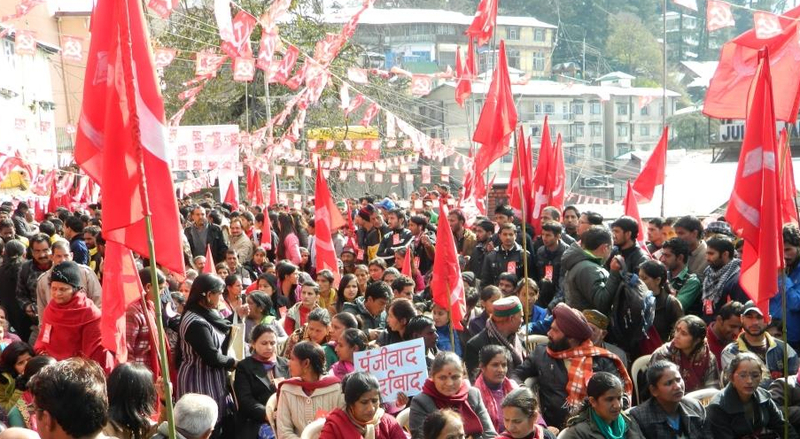 The JP workers union Karchham Wangtu and Baspa-II were protesting against JP Hydropower management since January 14, 2015 and holding a unified protest on February 24, 2015. The Jaiprakash Workers Union has served a 14 point demand notice on 15th October, 2014. The dispute on the demand notice continues as the management of JP Company has failed to address the major issues which would provide economic benefits to the workers. The Workers union has taken a decision to continue the struggle until the management settles the dispute to the satisfaction of the workers. The workers union has appealed to all the major national trade unions to extend their support in whatever form and manner to take the struggle to a logical conclusion. It has also appealed to the farmers of Kinnaur to support their cause actively. 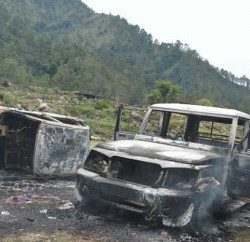 Union assured the district administration to take out their agitation in peaceful manner. However, it also advised administration to feel the pain of workers and farmers which is the consequence of violation of all kinds of laws by JP Company and the unscientific construction of the hydel projects which instead of getting relief to the people of Kinnaur has increased their problems many folds. 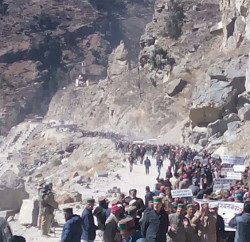 The workers union has sounded a word of caution to the administration of Kinnaur to handle the ongoing struggle with deep sensitivity, and cautioned to use force outside the framework of normal law. The CITU has asked the JP management to realise its folly and advised it to come out with proper solution of workers problems. The CITU has promised to ensure to implement all labour laws in letter and spirit.